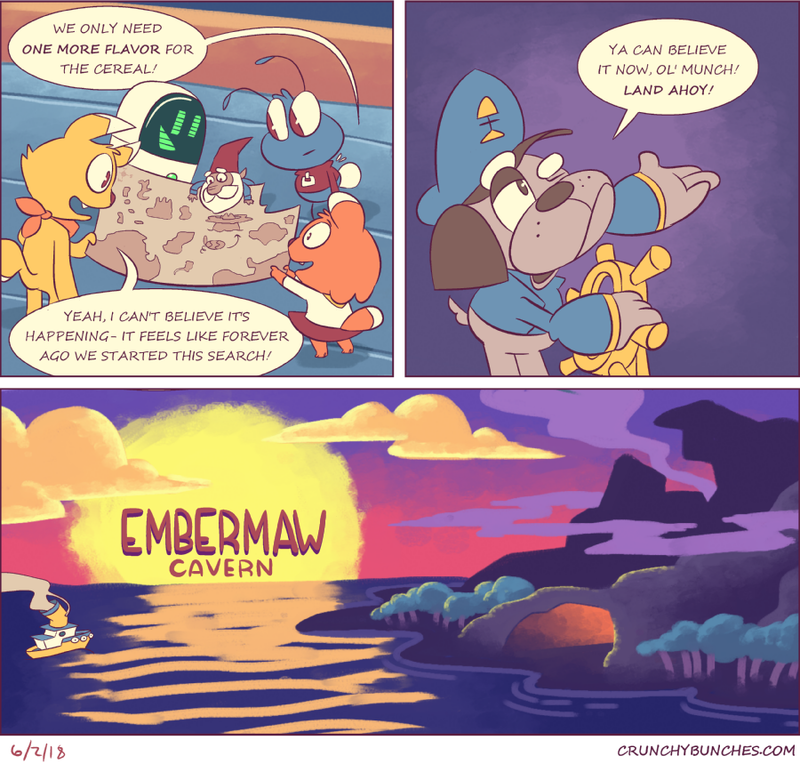 The Quest Begins is the first Great Cereal Quest comic, taking place in the Crystal Thicket. The previous chapter, “Sir Munchwell” is also a good place to start, for some backstory on Munchy’s ancestor. Starting yet further back, the chapter The Boss introduces Benton (our villain) as well as a few more notable characters like Gyra the robot. Chapters “Doom Robot,” “The Greatest Disguise,” and “Benton” continue the plot. I also recommend “Realm of the Cookie Elves” since it introduces Graham the cookie elf. Of course, you could also start from the very beginning chapter, “Crunchy Bunches” and work your way through! Anyway, thanks for reading! Dahn – dahn – dahn – dahn – DAAA!! I should hire you for the soundtrack! He may get the flavor right, but I’m left to wonder… what about gathering all these ingredients again for the SECOND bowl?